Scriptr.io, an IoT (Internet of Things) application development platform company, announced a partnership with Critical Minds Advisory, LLC, (Critical Minds) a leading enterprise technology consulting firm that offers enterprise integration and development services to a broad range of clients. Together, Critical Minds and scriptr.io are helping to accelerate IoT adoption in the market, bringing unique applications opportunities to the enterprise faster and easier than ever before. As a solutions expert in the enterprise integration market, Critical Minds will accelerate the enterprise use of any IoT data to create elegant applications, dashboards and integrations with existing enterprise systems. 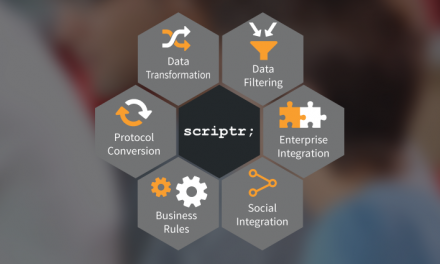 For example, Critical Minds provides a new, advance connector for scriptr.io to onboard to any IoT data to the Informatica Cloud™. “IoT data plus enterprise applications equals business opportunity,” Nassar added. For more information about scriptr.io or its partnership with Critical Minds, please visit http://www.scriptr.io.